Agents are being encouraged to learn about and market train travel in Switzerland. FOR the fourth consecutive year, Rail Europe, Switzerland Tourism and the Swiss Travel System continue their unique educational incentive programme The Swiss Travel Pass SuperStar. This successful programme supports travel agents to increase their sales and enrich their knowledge on Swiss destinations. 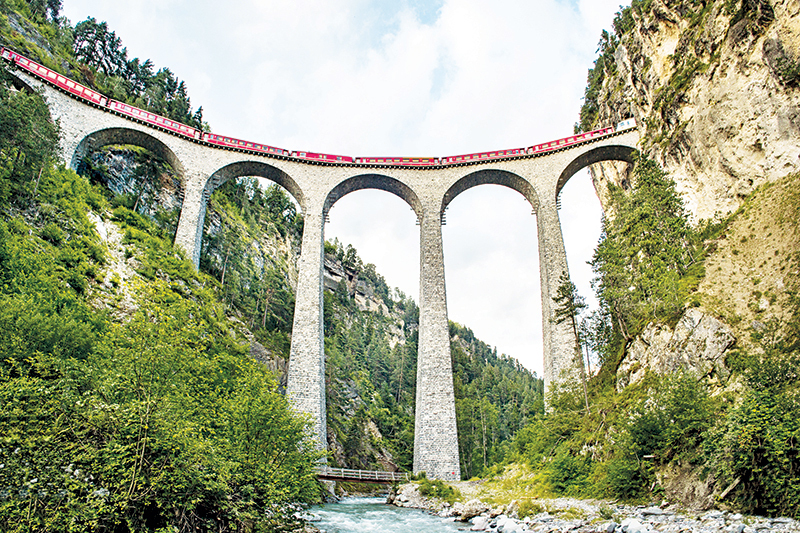 “Rail Europe, Swiss Travel System and Switzerland Tourism are aiming to continue the aggressive promotion of Swiss Travel Pass and Grand Train tours by attracting more passengers travelling by public transport within Switzerland,” said Waleed Ahmed, regional manager, Rail Europe Middle East. The purpose of the programme is to educate the travel professional to become an expert of rail products and to increase the sales of the Swiss Travel Pass. Matthias Albrecht, director GCC, Switzerland Tourism, said, “We have received great response for the programme in the past three years and we are looking at increasing the response this year as well. This initiative has helped generate brand awareness in GCC among the frontline staff in the travel trade about the Swiss rail passes, and has helped incentivise and motivate the trade to market this product, and thereby promote the destination." The Swiss Travel Pass SuperStar Programme will run over a six-month period from April 1 until September 30 this year. On the one hand, the programme includes six modules, with 10 quizzes in each of the six modules. Each module will be activated the first day of each month and must be completed within 30 days. To join the programme for free, travel professionals from GCC countries should visit http://www.myswitzerland.com/superstar. On the other hand, participants are required to upload information related to ticket sales (i.e. ticket number and date of sale) by the seventh of the following month. The products for sale include the Swiss Travel Pass, Swiss Card and Swiss Transfer Ticket. Swiss Travel Pass SuperStar certificates will be awarded to participants who complete all modules successfully and register a minimum of 70 points (42 from the quiz and 28 from Swiss Travel Pass sales). • Participants will get one point for €50 ($53) worth of ticket sale. • Retail agents (non-GSA) will earn bonus points for first 50 registered users. • Shopping Voucher value CHF100 ($99.5). Top 10 winners from GCC travel agents will be invited for the Grand Prize ceremony and enjoy the Grand Train Tour in Switzerland.